Surrey based, Bunce Sheet Metal Fabrication services is a UK family run business, specialising in precision sheet metal work and general fabrication. Based in Surrey, Bunce Sheet Metal Work Services are a leading UK family run business, specialising in precision sheet metal fabrication, as well as general fabrication. We have over 25 years experience operating within the sub-contract market. With our experience and expertise, we offer a full range of high quality, bespoke services, including aluminium welding, punching, cutting, drilling and tapping. We tailor every job to the client’s demands and requirements covering a range of fabrication services, whether you are looking for powder coating, wet painting, electro plating, galvanising or polishing. 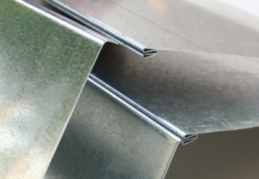 We have experience and expertise in the manufacturing of a wide range of sheet metal products for various industry sectors and our comprehensive services includes the cutting, punching, forming and welding of a variety of materials, from mild and stainless steel, aluminium, brass and copper, and perforated and mesh. We are one of the leading stainless steel fabrication engineers in the industry and we can manufacture for anything, whether it be a sheet metal prototype or large batch production, we have the facilities and employee expertise to accommodate whatever your needs. We are also able to finish these materials with powder coating, electroplating and polishing which makes them more durable, meaning that all of our sheet metal work is built to last using the highest quality materials and manufactured by a team of professionals who have all of the required experience and skills within the sheet metal and fabrication industry in order to create you an amazing quality, bespoke product. We offer metal punching services on a range of metals including stainless steel, brass, copper, aluminium and galvanized zinc, serving Surrey, Berkshire, Hampshire and the surrounding areas of the UK. 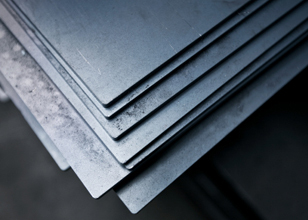 We have the machinery and experts to punch through any dimension of metal; we believe that this is what makes us a leading supplier and manufacturer of sheet metal work in Surrey.